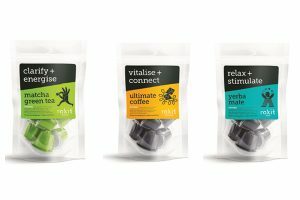 Empire Bespoke Foods has moved into the speciality coffee market with the launch of two Swiss-made, “gourmet” instant coffee brands. 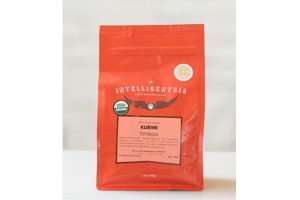 The new product lines – Bushido and Egoiste – are produced in Switzerland by the Hors’ Group, using 100% Arabica coffee beans and containing the top 20% of coffee beans from each crop. “As part of our continuing commitment to inspire our customers with quality products and indulgent flavours from around the world, we are delighted to launch two superb brands in Bushido and Egoiste,” says Nick Thomas, sales and marketing director of Empire Bespoke Foods. To produce instant coffees following the eastern traditions, the Hors’ Group chose Swiss facilities because of their advanced technology and ability to recreate the authentic taste of wood-roasted Japanese coffee. 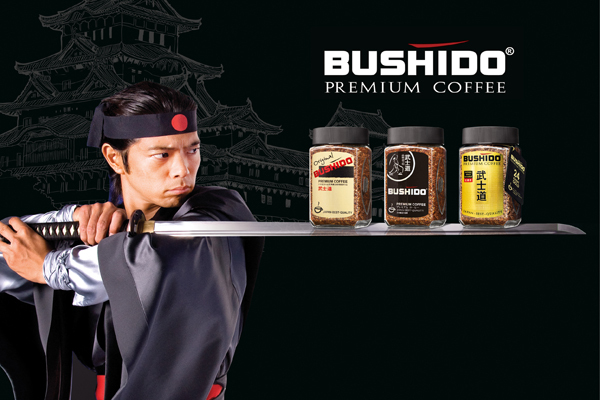 Bushido is produced using freeze dried technology that helps to retain more natural ingredients and deliver “a more delicate taste and extraordinary aroma.” The range includes Original, Black Katana and Gold 24k, which features rare grades of 100% high-hill Arabica beans from equatorial Africa, with the addition of 24-carat edible gold. MSRP for the 100g packs are £7.15 for Bushido Original, £8.00 for Katana Black, £8.00 and £30 for the exclusive Bushido Gold 24k. The Egoiste line is produced using patented In-Fi Technology, which evenly distributes natural, finely-ground roasted coffee among all the soluble coffee crystals. This results in granules of instant coffee with grains of natural, finely-ground roasted coffee inside each freeze-dried particle. 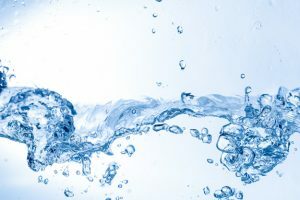 The process protects the ground coffee from oxidation and preserves the genuine aroma of freshly roasted coffee beans, which is then released when hot water is added. Egoiste features four distinct products offering a wide range of aromas and strengths. Packaging features the Swiss flag and highlights the In-Fi technology. MSRP for the 100g-packs are £8.10-£8.82 with a 50g Egoiste Special also available at £5.15. For more information, visit: www.empirebespokefoods.com.